Jaylon Kerley, A 20-year-old food service worker at Comerica Park in Detroit, was charged with a felony count of food law violations. 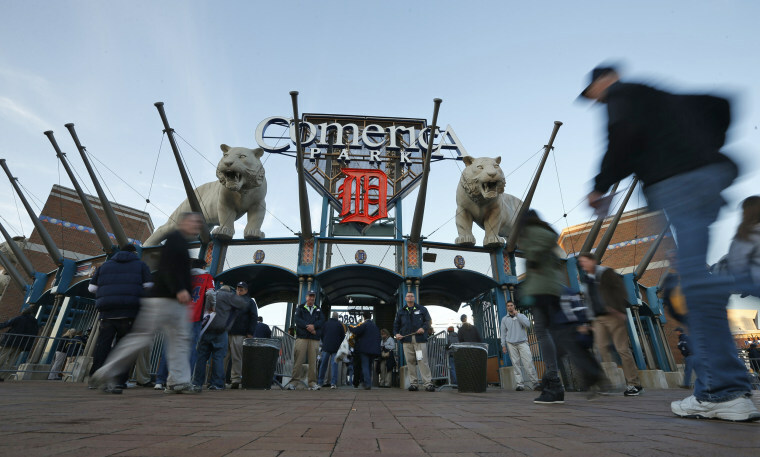 DETROIT — A 20-year-old food service worker at Comerica Park in Detroit has been charged after a video was posted online that appeared to show him spitting on a pizza intended for customers during a Major League Baseball game. The Wayne County prosecutor's office says Jaylon Kerley of Detroit is charged with a felony count of food law violations that's punishable by up to four years behind bars and a misdemeanor count of food law violations that's punishable by up to 90 days in jail. An arraignment is expected Tuesday. Court records don't list a lawyer for Kerley. The video appeared on Instagram over the weekend. Officials determined the video was recorded Friday when the Detroit Tigers were hosting the Kansas City Royals. Kerley was arrested Sunday and was fired.